It's that time of year for me - I'm coming up with a bad cold. I've never really had bad bad colds compared to most people but usually I'll have a sore throat/aching nose/face for a bunch of days, nothing where I need to run to the bathroom to barf every 5 minutes.. thank goodness! Every time I take a swallow, it feels like sandpaper rubbing against my throat.. the only thing keeping me sane is beer even though my senses aren't up to norm at the moment. Tonight's review is Garrison Brewing's Winter Warmer Ale. I really enjoy a good Winter Warmer alongside great Scotch Ales and Barley Wines, those boozey, caramelly treats are always a delight in middle of winter, especially when I'm coming up with a bad cold.. the alcohol numbs the pain for the slightest moment! 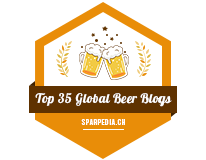 ON TO THE BEER! 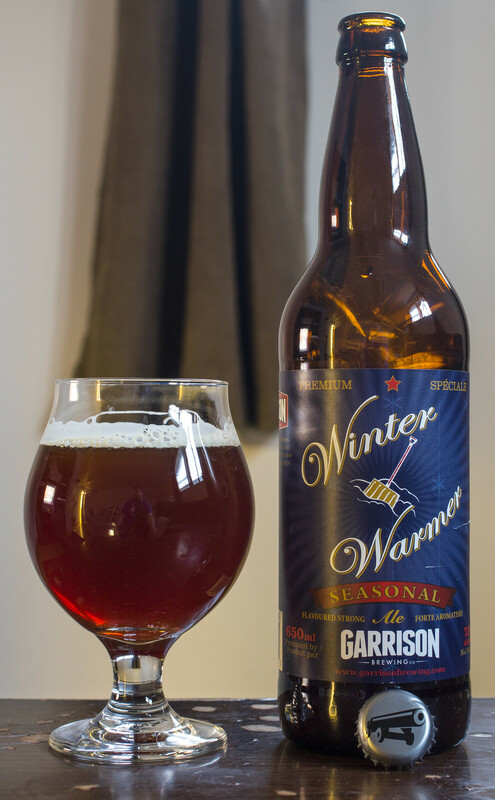 Appearance: Garrison's Winter Warmer pours a slightly cloudy ruby red ale with a light amount of beige foam on top. As I let the beer warm up, the head diminishes to a foam line close to the side of the glass. Aroma: Notes of raisins, caramel, well spiced with cinnamon and nutmeg, a hint of a booze burn on my nostrils and a hint of brown sugar. 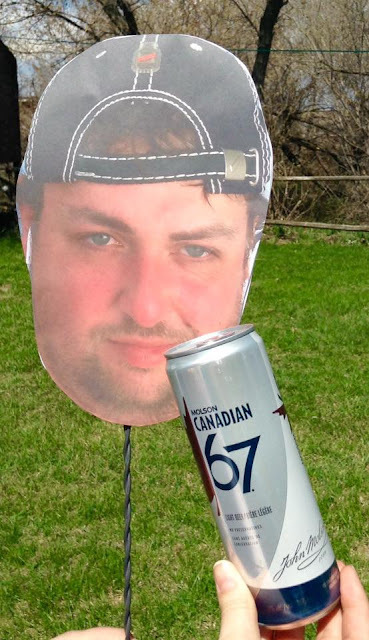 So far the beer's looking great! Taste: The first thing I notice is a bit of the grain popping out giving it that farm yard taste to it. There's notes of sweet caramel, the spices turn up again (cinnamon, nutmeg), an earthy hop bitterness that leaves behind a light bitter sensation on the tongue, and there's a hint of booziness in there at a point.. it's only 7%!